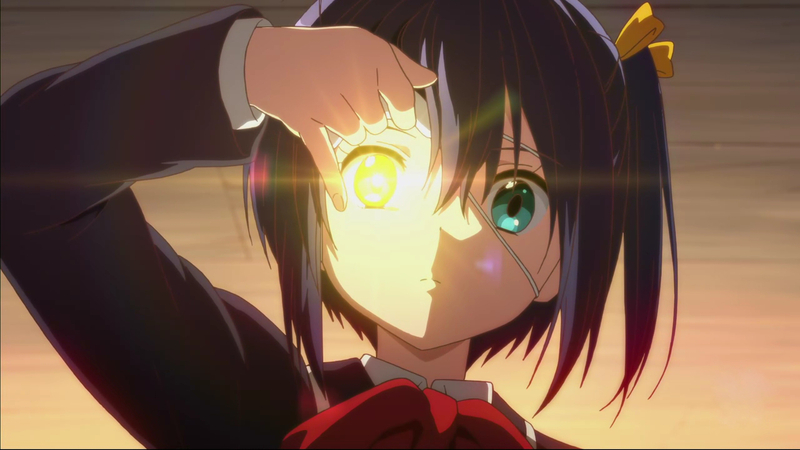 About Love, Chunibyo & Other Delusions! Yuta has a problem. As one of the thousands of Japanese students afflicted with "chunibyo," a state where they're so desperate to stand out that they've literally convinced themselves that they have secret knowledge and hidden powers, Yuta spent most of his middle school years living in a complete fantasy world. But that's not his major problem now, as with a lot of work and effort, he's finally managing to overcome his delusions to the point where thinks he's ready to start high school with all his cards in order. No, his BIG problem is the girl he first encounters climbing on his balcony. It seems that his own efforts to rid himself of his chunibyo have attracted the attentions of another sufferer, and she's decided that this makes him her soul mate. And since Rikka's just moved in upstairs, now he's being sucked into her fantasy world! Can a formerly wild and crazy guy handle being the focus of a completely delusional girl? Or will his own chunibyo return with a vengeance?